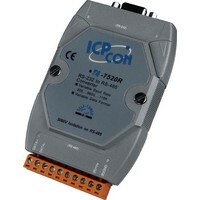 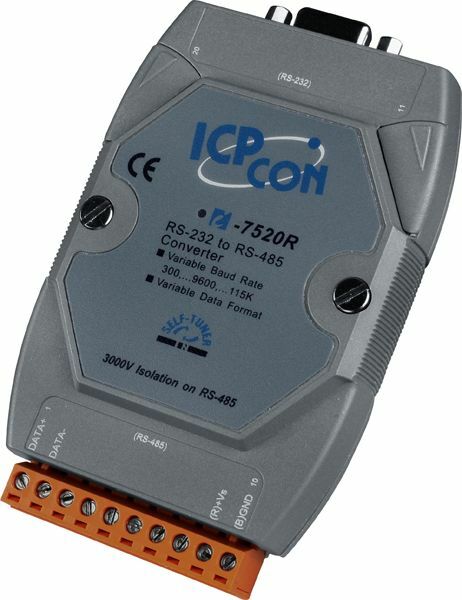 I-7520 and I-7520R are RS-232 to RS-485 converters, while I-7520A and I-7520AR can convert RS-232 signals to both RS-422 or RS-485. The main benefit of these converters is the possibility to use the higher transmission range and networking capabilities of RS-422 / RS-485 networks without any hardware or software modification in the application environment. I-7520 converter installation is very easy: the baudrate is automatically detected (max 155200 bps) and adjusted by the integrated self-tuning ASIC, the converter is mounted on DIN-Rail, and is powered over an unregulated 10 to 30 VDC power supply. The isolation type between I-7520 / I-7520A and I-7520R / I-7520AR is different. 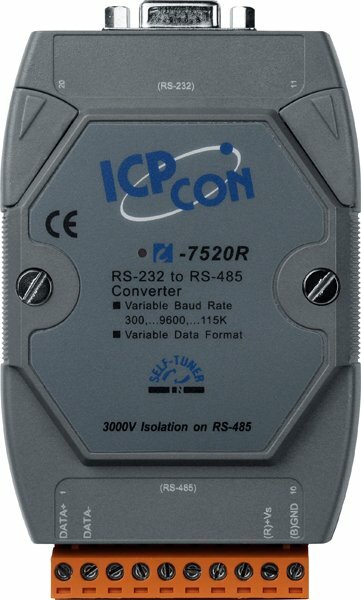 In I-7520 and I-7520A, the 3kv galvanic isolation is on the RS-232 side, allowing the electrical protection of the RS-232 device from electrical disturbances occuring on the RS-422/485 side. 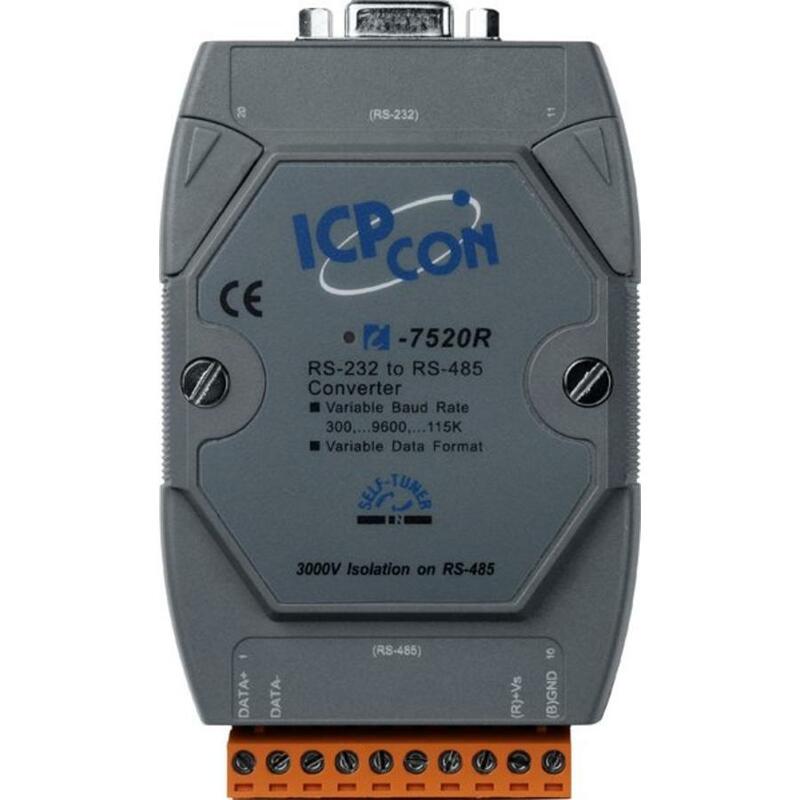 In I-7520R and I-7520AR, the isolation is on the RS-485 side, which is useful in the case the RS-232 could cause electrical threats.